JC: While current writings suggest 20, maybe more versions of Thespis in existence, we looked only at the four of these we could obtain in hard copy form. And of these, only the Arthur Baker and Timothy Henty version used mostly Sullivan’s music: the scholarship of Tillett and Spencer seem to indicate that a large amount of Thespis can be found in The Pirates of Penzance. 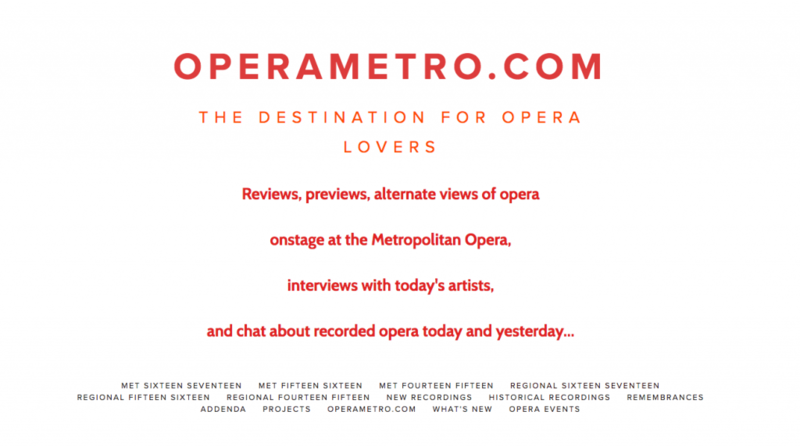 The Baker/Henty version also taps Offenbach: We know that the Gaiety Theater had recently done Offenbach’s Orpheus in the Underworld, and given that Gilbert and Sullivan had but a few weeks to fulfill their commission, they adopted some Offenbach to their needs. Baker and Henty did too, to very felicitous effect. JC: There are a huge number of characters in Thespis because Gilbert was obliged to include all of the members of the Gaiety Theater comedy troupe, some of whom were flat out comedians, not singers. 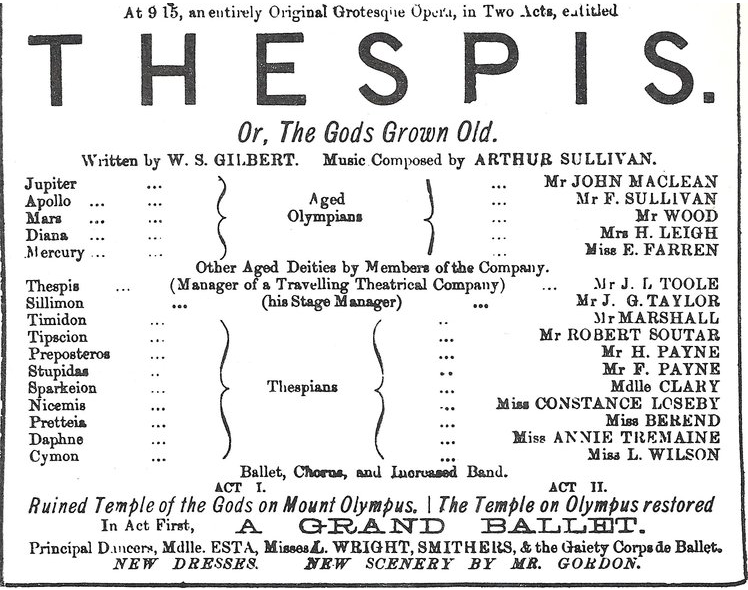 So we, of course, do not know exactly what was actually performed, as this company did a lot of ad-libbing, which Gilbert would later forbid, and while you can see the genesis of several G&S shows in the libretto of Thespis, it was written hastily for a company with quite limited singing talent. So yes, it is broader, looser, and much sillier than Gilbert’s later works. Just check the cast list! BK: Mercury is a patter-song role which is obviously very different from my usual full lyric singing. I am still working on making sure the diction is intelligible as the words really are very funny. In fact, all the Mercury songs are taken from men’s roles in other operettas, so none of them is really written for a woman’s range except, of course, Mercury’s third song, which is the duet with Buttercup. So yes, this has been a good challenge for me as I have to focus on character and diction over emphasizing a beautiful vocal line. The Troupers dig very deeply into their artistic well to give loyal followers a once in a lifetime experience: a resurrection of Gilbert and Sullivan’s Thespis. It’s to be performed as a semi-staged concert at the All Saints Catholic School in Norwalk, CT, on Saturday, November 5 at 7:30 p.m. and Sunday, the 6th at 2:30 p.m. It wasn’t a fault of inexperience on the part of its creators, nor first date jitters: though not as well seasoned as they would soon become, neither Gilbert nor Sullivan were new to this sort of thing. Gilbert had written already Ages Ago with composer Frederick Clay, a friend of Sullivan, the one who first introduced him to Gilbert. 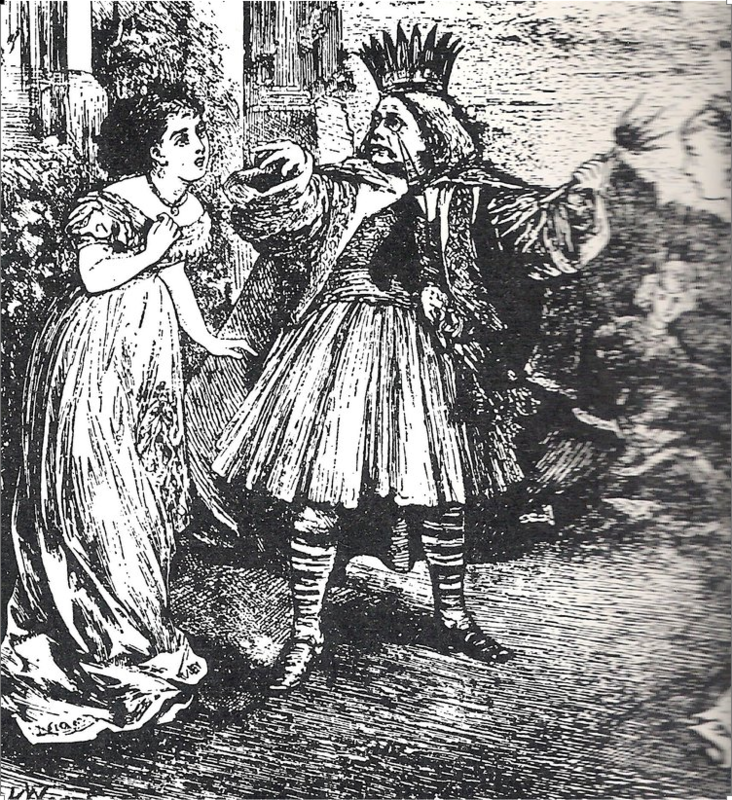 Gilbert the grandiose then wrote large scale mockery of Meyerbeer’s Robert le Diable, entitledRobert the Devil, or The Nun, the Dun and the Son of a Gun; Sullivan, in addition to his serious music, composed the little farce Cox and Box, or The Long Lost Brothers (1867) and a more substantial, but less successful The Contrabandista, or The Law of the Ladrones (also 1867). Ah, the tricks one’s memory can play! Thespis is loosely structured burlesque, loaded with shapely females in tights playing young men, a sketchy plot, bad jokes and puns, why, even many of the names are silly: Sillimon, see? Timidon, Tipscion, Preposteros, Stupidas, Sparkeion, Nicemis, and Pretteia, for a few. Tipscion (Tipsy One), of course, is the actor who substitutes for Bacchus. In fact, a few of these are they what sing the chorus “Climbing over rocky mountain,” familiar to G & S fans as the happy entrance of Major Stanley’s bevy of beautiful daughters in Act I of The Pirates of Penzance. Though Sullivan’s score forThespis was lost, his memory for it worked well, and, if you remember the story, Gilbert and he came to New York with full intention to complete Pirates for the US premiere, for copyright protection, but Sullivan forgot to bring his drafts of the score. In a pinch, he had to reconstruct everything. Not surprising Thespiscame to mind at times. Another ballad from Thespis, Sparkeion’s Little Maid from Arcadee from Act II, was published separately. OM: Thespis is even more silly than Gilbert’s later Savoy efforts, yes? JC: There are a huge number of characters in Thespis because Gilbert was obliged to include all of the members of the Gaiety Theater comedy troupe, some of whom were flat out comedians, not singers. So we, of course, do not know exactly what was actually performed, as this company did a lot of ad-libbing, which Gilbert would later forbid, and while you can see the genesis of several G&S shows in the libretto ofThespis, it was written hastily for a company with quite limited singing talent. So yes, it is broader, looser, and much sillier than Gilbert’s later works. Just check the cast list!